I have been posting homemades for sometime. Homemades are anytime better than off the shelf powders due to health reasons. 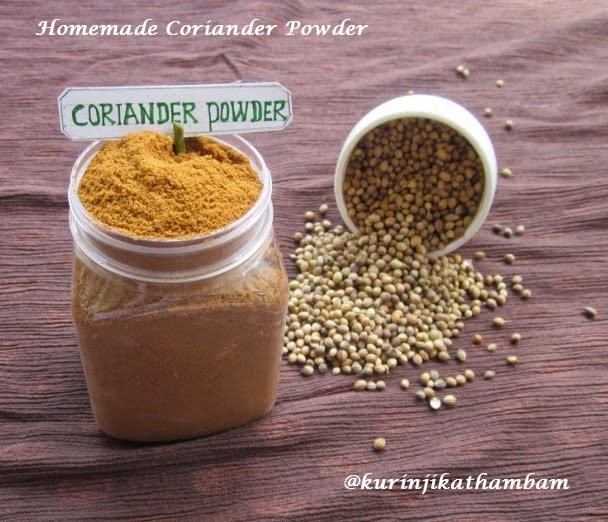 Coriander powder is also called kotha malli thool and kotha malli podi in tamil or dhania powder in Hindi. 1. 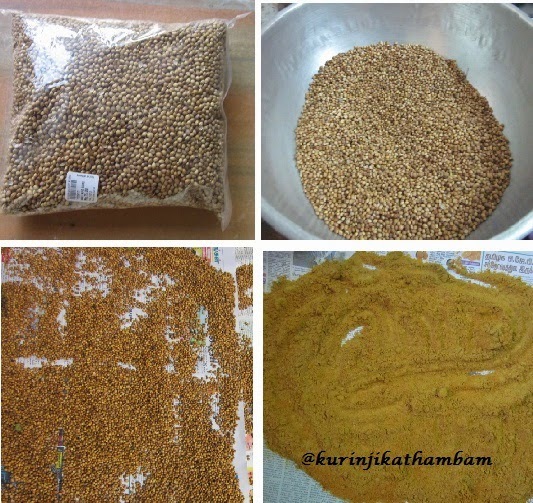 Dry roast the coriander seeds till a nice aroma comes out and also they turn into golden in color. 2. Spread it on the paper and allow them to cool down. 3. Grind them into a fine powder using mixie if the quantity is small. Otherwise grind them in a flour mill shop. 4. After having grounded it, spread the powder on the plate or paper and cool it down completely. 5. Store it in an air tight container. For daily use store a portion in a small air tight container.